IgnitEd now makes it easier than ever before to incorporate curriculum from around the world into your classroom. 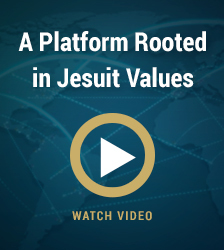 With just a few clicks you can connect to approximately 200 different globally-located Jesuit universities and institutions with the use of case studies, videos, podcasts and more. IgnitEd is an invaluable resource that can aid you with finding the perfect curricular tools, creating the perfect opportunity for your students to benefit from the centuries of Jesuit experience and tradition. This online seven-week course, with a required two half-day required face-to-face on campus workshop, introduces students to the theories, models, skills and techniques used in mediation, a major conflict engagement process. Students are given opportunities to practice various techniques used by mediators during the mediation process through diverse teaching methods including: online discussions, demonstration role plays, active learning exercises, videos and readings. Students also consider the impact of various issues, including trust, forgiveness, culture, gender and power on the mediation process; the role of the mediator, parties, and attorneys in mediation; the connection between mediator ethics and Ignatian values; and challenges which arise during mediation. The mediation workshop, together with the seven weeks of online instruction, fulfills the Basic Mediator Training requirements and it is approved by the Office of Dispute Resolution (ODR), Nebraska Supreme Court. Students who successfully complete this course will receive a Certificate of Participation in the ODR approved workshop, which also fulfills the prerequisite for taking the Family Mediation Training in Nebraska. Students will also earn a badge in Mediation from Creighton University. Course 1 of 2 in the “Project Management Mastering Projects” Badge. Mastering Projects – Real World Agile in Practice is designed to help students better understand the Agile philosophy. Agile which has gained popularity in recent years as an approach to product development in project environments with considerable uncertainty, high rates of change, complexity and considerable risk. The Agile mindset has spawned several methodologies and frameworks such as Kanban, Scrum, and XP to name a few, but all adhere to some common principles that have been used in the IT sector for some time, but have now spread to other industries today. The underlying concept for any Agile approach is to focus on delivering stakeholder value by critical decision-making and applying proven project processes as appropriate, while remaining responsive to change. This course explores managing projects through the lens of a “Real World Agile” view. It includes flexible and pragmatic reviews of variations and overlaps in project approaches and techniques such as waterfall, Agile, Scrum, and Kaizen practices to provide the participant with a practical application orientation for the pros and cons of each. Using interactive group workshops within the course, students will experience all of the core Scrum practices end-to-end using a project scenario. This will include applying creative techniques for estimating, prioritization and story identification. The course is facilitated by an experienced and certified Agile Coach. Students are encouraged to engage with one another and share experiences, examples and questions to leverage the learning experience. Your application to the Creighton Graduate School, Heider College of Business is embedded in the course registration process. You can leverage your education and earn a Badge or Certificate in Project Management and these credits apply towards Creighton’s MBA or MS-BIA graduate degrees, but it is highly recommended that students have several years of working experience and prior business-related coursework before taking this course. Course 2 of 2 in the “Project Management Mastering Projects” Badge. In this course, participants will build upon the fundamentals covered in the “Managing Projects” courses by applying knowledge, tools and techniques to scenarios and case studies. Participants will have the opportunity to engage in experiential learning exercises both individually and in teams, and explore specific topics in greater detail including: interpersonal skills, identifying opportunities and threats, requirements gathering, critical path and critical chain methods, project performance management, and procurement/contracting. MBA 706 is aligned with the PMI®, A Guide to the Project Management Body of Knowledge (PMBOK® Guide), the leading project management standard worldwide today. This course is intended to engage participants and inspire them to develop a pragmatic approach for managing projects by combining their experience (both classroom and career) and knowledge with industry standards and good practice. Students are encouraged to continue building a project management “toolbox” by adding additional components acquired from the course as well as through discoveries made in class from other students, through work experiences, via in-class experiential activities and through research. Advanced topics and specific project management tools, techniques and methods are introduced in this course and additional time is spent exploring the ten knowledge areas and five process groups outlined in A Guide to the Project Management Body of Knowledge (PMBOK® Guide). Your application to the Creighton Graduate School, Heider College of Business is embedded in the course registration process. You can leverage your education and earn a Badge or Certificate in Project Management and these credits apply towards Creighton’s MBA or MSBIA graduate degrees. It is highly recommended that students have several years of working experience, prior business-related coursework, and have taken MBA 501 and 502 before taking this course. Building on Managing Projects, Part 1 – Understanding the Fundamentals, Managing Projects, Part 2: Applying the Fundamentals provides the opportunity to apply various tools and techniques to plan, execute, monitor and control, and close a project via a project simulation. You will focus on practice and application. Students work in teams to approach a complex project management scenario and take a project from initiation through closing using a tailored approach that integrates the various topics covered in both courses and allows for direct application of tools and techniques. This course incorporates the use of experiential learning including hands-on activities and group exercises to create various project documents, tools, and artifacts to achieve measurable objectives, identify and manage project scope, estimate project time and costs, manage resource requirements and assignments, determine work required and task dependencies, and monitor and control project execution. This course is aligned with the industry-leading standard in project management worldwide, A Guide to the Project Management Body of Knowledge (PMBOK® Guide), and focuses on the five process groups, ten knowledge areas, and 47 associated processes in the PMBOK® Guide. Change doesn’t have to be difficult, even in a fast-paced office setting. Learn our simple but practical keys to success in leading through a transition. Participants will learn the skills to support and lead teams through times of transition. Women have begun acknowledging that we can’t have it all—at least not at the same time. Additionally, more women are coming forward to say that maybe a pause in one’s career is okay and does not have to be a career-killer. This interactive workshop focuses on the idea that living life in an intentional manner will lead to having meaningful balance in one’s life. This session encourages women to set goals for their personal and professional lives, while thoughtfully identifying the best path for this journey. Participants will gain ideas for how self-advocacy and values identification can lead to living a life with more intention and thus more balance. Learn a new way to eliminate waste in your business operations with the Lean and Six Sigma (6ơ) approaches and how Lean Enterprise tools can be used for faster 6ơ results. This course explores the similarities and differences of both the Lean and 6ơ, and it helps participants pick the best approach for their specific operations, team, or work culture. 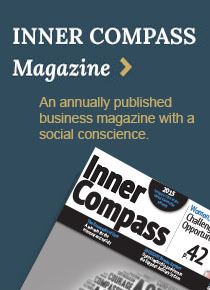 The ability to motivate and lead by example are hallmarks of successful business leaders. In this seminar, we explore practices on how to best lead your team. This seminar includes discussion on how to foster motivation, provide constructive feedback, and coach team members and employees. Participants will learn how to be articulate and confident through this hands-on presentation skills course. This course will ensure that participants can deliver clear, complete and organized presentations to any group. Participants learn effective physical delivery skills along with road maps for real-world situations. This course introduces students to the field of conflict engagement. It presents theoretical explanations of the causes of conflict and leads students to an identification and understanding of their response to and style of conflict engagement. There is a focus on explaining and distinguishing between a broad range of conflict engagement processes including negotiation, mediation, and facilitation, so that students will be able to apply the appropriate process to various types of conflict that they may encounter in their lives and practice.